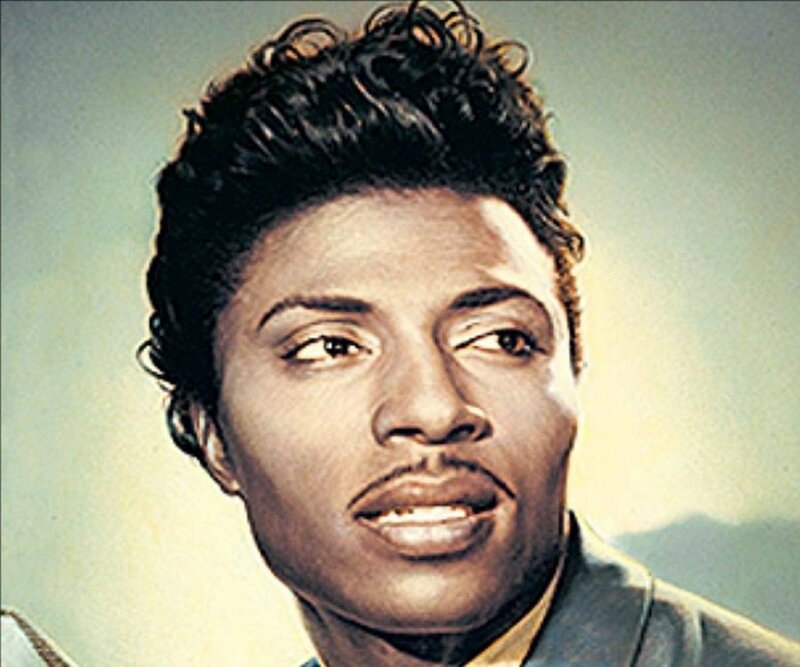 I am not sure Richard Penniman aka Little Richard is of this world. I wasn’t around in the mid 1950’s when he came into world prominence but he had to be a shock to most adults at the time. I don’t know if there are aliens on this earth but if there are Little Richard is one of them. The most outrageous of the 50’s rockers and that is saying something when your competition is the likes of The Killer Jerry Lee Lewis and Elvis Presley. The teenagers who would become The Beatles had already heard Elvis- and hearing Elvis was a life changing event. Then along came Little Richard and it blew their minds. It is fun to read about The Beatles as fans of others music. Their music would later change lives- but first the music of others- Elvis, Little Richard, Buddy Holly would change theirs. Paul had a voice that could imitate Richard perfectly. There were those back then who said Paul out Richard Richard. Little Richard was a huge influence not only on rock and rollers like The Beatles but on many other artists in different genres of music- funk, soul, blues, gospel. 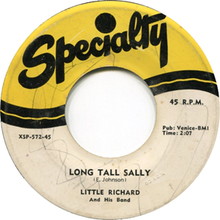 Little Richard was a giant and he has never been shy about telling everyone. The Beatles during their formative years as a band had many Little Richard songs on their setlist- in their famous days in Hamburg and back in Liverpool at The Cavern and other venues. The Beatles would start playing this classic as The Quarrymen in 1957 and would be playing it until the end of their live shows in 1966. They would do a cover of Long Tall Sally released on the Long Tall Sally EP- and later released on Past Masters I with Paul of course singing. On the Live At The BBC recordings they covered Ooh! My Soul and Lucille- released in 1994 again Paul sang the songs, why wouldn’t he! The most Little Richard like song that The Beatles wrote-recorded would be I’m Down which is right out of the Little Richard’s style. Little Richard and his producer Bump Blackwell wrote this song so up tempo and fast lyrics to foil the man with no soul- Pat Boone from covering it. Boone had a hit with Tutti Frutti and countless other rock and roll songs by much greatest artists- he butchered the songs but usually had the bigger hit on the songs. Boone covered Long Tall Sally anyway and the single went to #8. Little Richard’s version went to #13 in the US and to #3 in the UK. Much greater artists than Boone covered it- Elvis, The Kinks, Eddie Cochran, Gene Vincent and countless others. Rolling Stone magazine ranked it as the 55th greatest rock and roll song ever. PAT BOONE -Such a legend – and who can ever forget his album of METAL songs in the 90’s? What a fool!